Sylvester Stallone all but guaranteed himself a new franchise by making 'the expendables' of the first film nowhere near as expendable as the title suggested. But while their return in this bigger, bloodier, more star-studded sequel is enjoyable enough, it's not quite the romp it could have been. 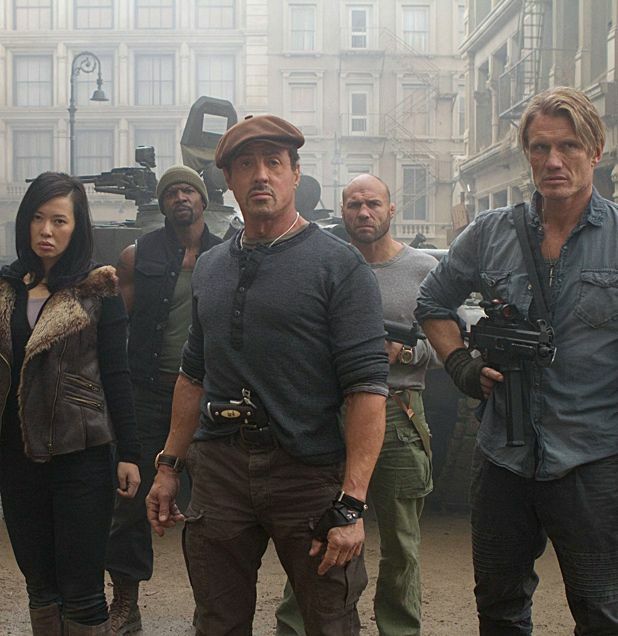 Rather, The Expendables 2 is the kind of movie where in-jokes are the order of the day, clichés abound and plot plays a distant second fiddle to explosive, if repetitive, action. What story there is follows Barney Ross (Stallone) and his crew of expendables (Jason Statham, Dolph Lundgren, Terry Crews, Randy Couture and new boy Liam Hemsworth) as they embark on another mission that leaves one of their member dead and the ageing mercenaries seeking revenge. Jean-Claude Van Damme's comically named Jean Vilain is the man on their hit-list but the size of his army means that Stallone's crew need extra help, which comes in the form of old die-hards Bruce Willis, Arnold Schwarzenegger and Chuck Norris. At its best, The Expendables 2 thrives on the camaraderie that exists between the various action icons, while dropping in cheesy gags that reference their back catalogue. Willis and Schwarzenegger benefit from bigger roles but the best laughs come from Norris, whose grandstanding entrance is one of several highlights. But while the film delivers what you expect and is mostly good fun there are missed opportunities, not least in Van Damme’s under-used Vilain and the premature departure of two of its more interesting characters. A little more brain to match its brawn would have helped. General release from Fri 16 Aug.